I’ve just finished reading this after it was recommended to me by Mike Pegg. I’ve read a lot of business books that have come highly recommended in the past, but most I find are bloated. They consist of simple learnings dressed up as deeply researched, epiphanies of unrivalled value. Most should have been short essays, not pages and pages of pseudo-scientific waffle. Not this book. 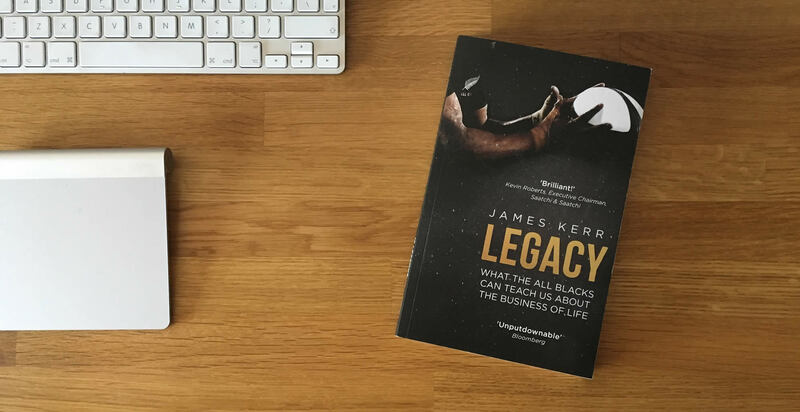 Each chapter focuses on one of the core values that the All Blacks (players, coaches and support staff) employ to help make them the most successful sports team in the World. And it does so succinctly and with just the right amount of explanation and exploration. The key word above is team. There’s a lot written about how sports teams can teach the business world a thing or two about working together, and in this case they really can. Maybe I’m biased as an ex-player and fan of the sport of Rugby. Maybe I have an underlying respect and appreciation of what the All Blacks have achieved that predisposes me to liking this book. That could be true. But, even if you’re not a fan of the sport, I’d highly recommend reading this as an example of what it really means to build a team and to keep it performing at the highest level over and over again. I don’t ever recall re-reading any business book in the past, but I know I will be revisiting this regularly.